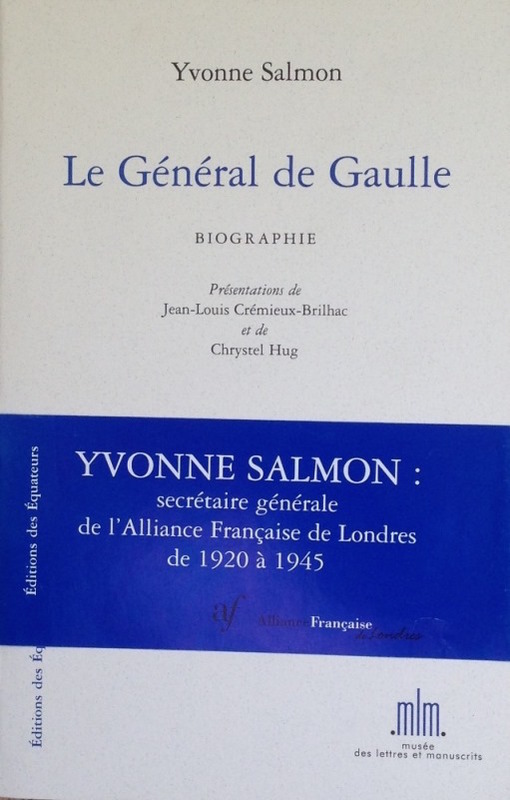 Yvonne Salmon (1885-1965), Secretary General of the Alliance Française in London, wrote this book in 1943, the 2nd ever written biography of General de Gaulle. She wrote it for members of the Alliance and concurrently did a more pedagogical edition for young British students. The authors of the two introductions are respectively a Français Libre, and later politician and historian, who presents the historical context to the book, and the current Director of Alliance Française de Londres, who presents a short history of Yvonne Salmon and the Alliance during WWII. This edition contains the recently recovered original typescript for the book with handwritten annotations by de Gaulle himself. Collect the book at Reception or add to your payment £ 3 for p&p (sorry, within the UK only). If requesting delivery by post do remember to include your full address.